"Room was very clean, excellent." Have a question for Liberty Central Saigon Riverside Hotel? 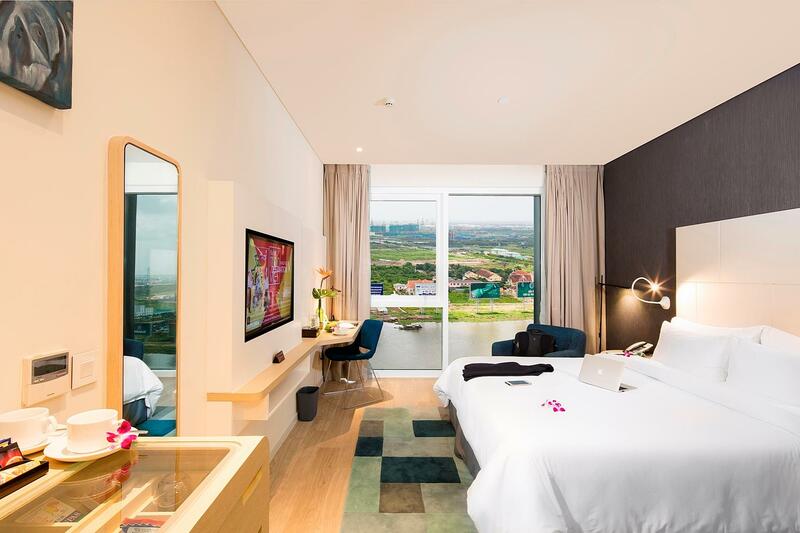 "Our family enjoyed our stay at The Liberty Central Saigon Riverside Hotel and found the location a great bonus." 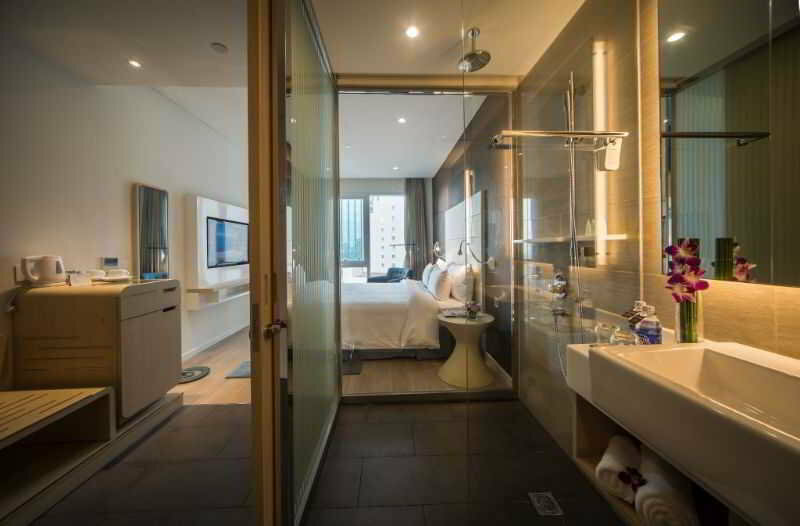 "Nice rooms, nice view from the gym facing the city from the 23rd floor, nice swimming pool and chill area/bar on the roof." "Birthday of our traveling mate so they upgraded the rooms 2 for 1 pool cocktails worth your nighttime on roof top of property!" "Room was clean and ocean view was perfect!" 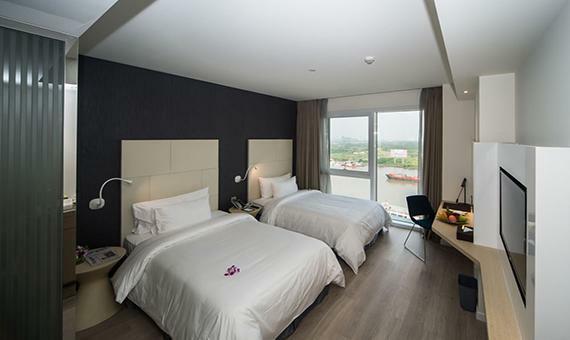 Complete your vacation booking and stay at the Liberty Central Saigon Riverside Hotel. Rated 4 stars, this hotel is perfect for experiencing a truly memorable getaway. It has several convenient features, such as a fireplace, safety deposit boxes, a currency exchange, a salon, as well as a smoking area. The hotel is near Cao Minh Tailor, Artbook, Dong Khoi Street, Lucky Plaza, and Tran Hung Dao Statue. Featuring a fitness center, a spa, and ticket services, it is fully equipped to make sure that your stay will be as comfortable as possible. With river and city room views to offer guests, it has lovely scenery. The Liberty Central Saigon Riverside Hotel provides a range of transport options, such as airport transfers, car rentals, and taxi services. From a bar to restaurants on the property, the hotel offers a variety of dining and snacking choices. With Vietnamese, American, and Asian restaurants nearby, you can enjoy different delicious cuisines during your vacation. Some of the nearby restaurants are Central Restaurant, Saigon Corner, and Time Restaurant. Offering guided tours, this hotel is a great spot to stay to learn about your surroundings and see everything you can while you're here. If you want to spend your day simply relaxing and unwinding, get a massage nearby. 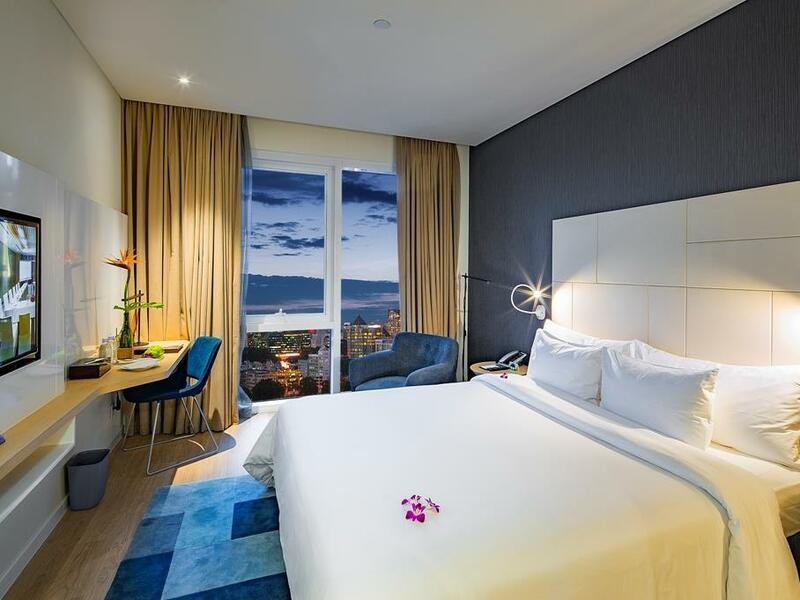 From a concierge to luggage storage, the Liberty Central Saigon Riverside Hotel provides useful services that guests can take advantage of throughout their stay. The Liberty Central Saigon Riverside Hotel permits pets, saving you the trouble of finding someone to look after your pet while you're out of town. This hotel offers check-in from 02:00 PM and check-out until 12:00 PM. It offers family rooms, so your entire family is provided adequate space to have a good time together. It is equipped with a kids club, keeping your children happy and entertained while you enjoy your vacation. This hotel provides free Wi-Fi in all rooms, as well as Wi-Fi in common areas, ensuring that you are always able to stay in contact with your loved ones without splurging on foreign data charges. It features a front desk that's open around the clock, ensuring that there is always a member of staff on call to assist you with any questions at all hours of the day or night. Saigon Railway Station is 3.4 km away and Ben Xe Mien Dong Bus Station is 4.5 km away. "Very comfortable quality hotel, in good location with excell..."
I stayed in a single room as part of a larger group. They were not able to accommodate us in nearby rooms. Overall performance of staff was mediocre at best. Weak English and not much effort to make the stay pleasurable. The food is not good. Don’t bother with breakfast, definitely don’t bother with food options at pool side. Very overpriced for the quality, and you can find excellent food everywhere else in the city. The hotel located at central of Saigon. Walking distance to Nguyen Hue walking street. Hotel is nearby a lot of eateries places and coffee shops. Staff are friendly and helpful. The room is comfortable and clean. Will be back if have chance. Hotel was very clean and all staff were attentive, polite and friendly. Complimentary breakfast had a good selection and room service food was good quality. Rooftop pool was great and bar was reasonably priced (more expensive than some nearby bars but cheap for hotel). Location was great, right between the fancier restaurant area and main bustling walking street. Walking distance of Ben Tahn and Nguyen Hue walking street and a longer walk to the pink church and war remnants museum. Would definitely stay again. This hotel is in a great location for getting around Ho Chi Minh, there is a great rooftop pool with bar, that was also awesome. The buffet breakfast is one Of the best I have had in SE Asia. Highly recommend a stay here. I was impressed when a concierge could still remember me when I stayed in the same hotel about more than a year ago. He could remember my colleague was with me. That's what I called world class customer service.. on the room wise I didn't get as per my booking king size bed and the room was warm thru out my stay. The hotel needs to.look into. I booked Liberty Central for my girl friend’s bday, I’ve mentioned special request for her about greeting card. Liberty Central hotel well prepared it with gorgeous riverside view room and, delicious cake. thanks to their great service and I am defintely recommend Liberty Central hotel to everyone. 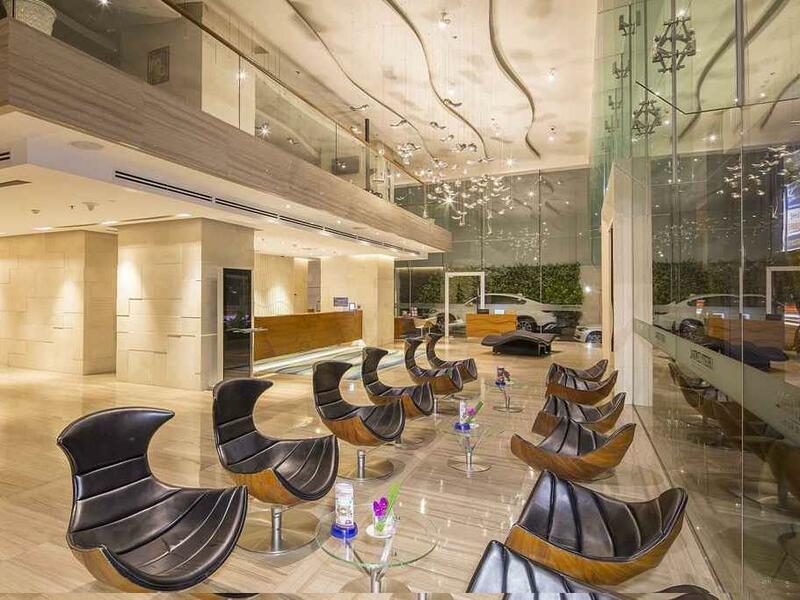 Strategic location to nearby iconic buildings like Saigon Skydeck, walkable distance. Nice view of Saigon River especially at night. It locates in the heart of HCMC. Good river view and nice breakfast. I may stay there again if I visit HCMC. 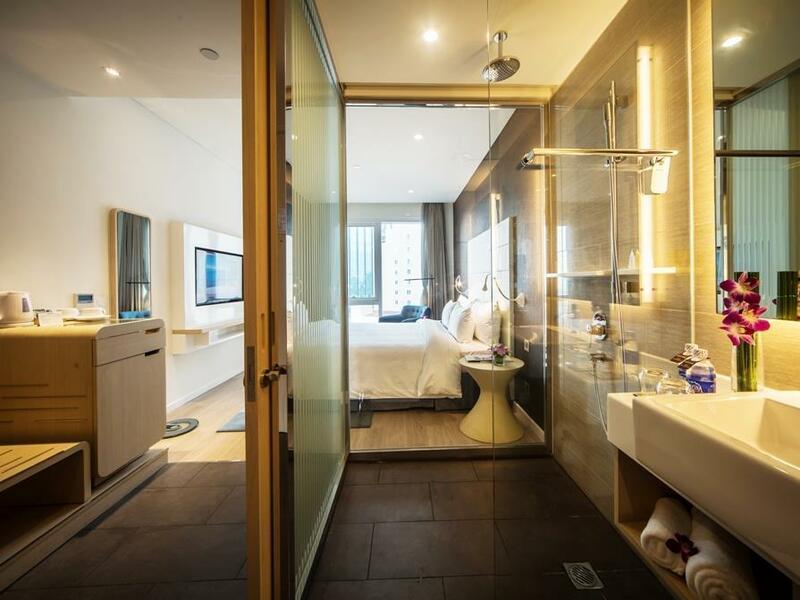 Although the view from the roof top pool is not as nice as you see on the picture, this hotel is very convient for anyone who stays at Ho Chi Min city. The location is very close to the main shopping street where you will also find many restaurants and local travel agencies to book a short trip in the region. Totally worth getting the executive club access during our stay. Traveling with young kids (3yo and 5yo), we enjoyed Afternoon and basically fed them dinner during cocktail hour which was great! so when we went out to eat, we weren’t too worried about the kids knowing they had a feed at the hotel already :) staff are friendly and loved loved the rooftop pool- thoroughly enjoyed our stay here and the location was the best! Received an upgrade when I arrived, already a brilliant touch. Outstanding room with a view of river Saigon, lounge was excellent, staff always smiling and ready to assist. Definitely one of the better places in HCM city. Hotel is quite good, staffs care customers very much. But I choice the car service from Agoda system for transport from airport to hotel on 1:45. But nothing until 2:45. To Agoda: does your system be insert the cheating program? To customers: be careful to use the function besides hotel booking. Especially transportation from airport to hotel. It will charge you higher fee than Taxi in 3 minutes but get nothing when you arrive, and you will get a mail say to refund the money 10 days later after you complaining 3 hours. It’s a very good fraud system named Mozio... good luck!!! This was a very good property on the river! Nice and clean, very well priced. They have the pool on the roof and happy hour, was gorgeous sitting there in pool looking over river and some of the city Scooters through hotel were expensive, about 4 x what you normally pay in Vietnam for a scooter. Recommend going out and getting yourself! Second time staying here, the first time having been not long after it had opened. Pleased to report that the standards of service from all of the team there, from the front-desk, the restaurant, and the bell boys - is very attentive and courteous. Rooms are well finished and comfortable.